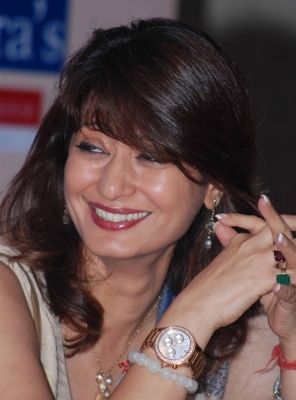 New Delhi, July 20 (IANS) The Delhi High Court on Thursday asked the city police to file a status report on BJP leader Subramanian Swamy’s plea seeking a time-bound court-monitored probe into the death of Sunanda Pushkar, the wife of Congress MP Shashi Tharoor. A division bench of Justice G.S. Sistani and Justice Chander Shekhar sought status report from Delhi Police saying it will take a look at what police has to say before taking any decision on the plea. The bench has given three days time to Delhi Police to submit the status report and posted the matter for August 1. During the brief hearing, appearing for Delhi Police, advocate Rahul Mehra said that the police was close to a complete investigation and the status report would be filed after he takes a look at it. Swamy had earlier told the court that there has been constant attempt to block the investigation into the death of Pushkar. He alleged that the registration of an FIR took almost a year and nothing has happened after that. Even after three years, police had not arrested anyone and no custodial interrogation took place, Swamy had said, adding that the post-mortem report confirmed her death was “unnatural” and “due to poison”. The PIL sought a court-monitored investigation by constituting a “multi-disciplinary SIT consisting of Intelligence Bureau, Enforcement Directorate, RAW, Delhi Police and headed by CBI” or a time-bound CBI probe. “It’s an extreme example of the slow motion of the criminal justice process and the extent to which it can be subverted by the rich and influential. It unfolds the apparent apathy on the part of all those concerned with the administration of criminal justice,” said the plea.